This year will see the Australian real estate industry welcome a new breed of agent: the digital twin. Most existing examples of a digital twin in real estate refer to the creation of digital replicas of actual properties using the internet of things. But what about a digital twin of yourself working with you to service customers? Artificial intelligence that you’re able to deploy 24/7 to undertake a growing number of tasks while you focus your efforts elsewhere, like on business development? And how far can the concept be taken? How advanced can your digital twin be? Dexar Group, the parent company of Laing+Simmons, is on track to roll out the Australian real estate industry’s first iteration of a virtual sales agent in 2019. Prepare to say hi to your digital twin. Over the coming years and decades, robots, virtual assistants and digital twins will play an increasingly important role in the day-to-day lives of workers and the operations of businesses everywhere, across all industries. In real estate, iterations of artificial intelligence, powered by data, are already busy gathering information, scheduling repairs, collecting rents, contacting people looking to buy and sell, and completing a growing number of other tasks to free up an agent’s time. This year Dexar Group, the parent company of Laing+Simmons, will set the Australian real estate industry’s first digital twin to work. According to Dexar’s Chief Operating Officer Jeff Gray, the area of an existing agent’s day-to-day job most readily accessible for a virtual agent – or digital twin – to assist with is the management of buyers. “Initially, we see an opportunity for a virtual agent to effectively take over certain tasks, such as replacing the need for a human agent to place and receive certain calls, texts and emails by using data to engage with and interpret dealings with buyers,” Mr Gray says. “This means agents can renew their focus on developing new relationships, growing their businesses and allocating greater time and resources to the tasks that require real human interaction. So will this digital twin be able to replicate some of an agent’s key tasks while ensuring excellent customer service is never in doubt? Laing+Simmons Managing Director Leanne Pilkington says the success of a digital twin in real estate will depend on its ability to engage with customers just as an agent would. “There are precedents in other industries we can point to. Google’s AI assistant can already undertake tasks like ordering food or booking a haircut appointment, mimicking a real human voice to have a genuine phone conversation with a person who thinks, for all intents and purposes, that another person is on the other end of the line,” Ms Pilkington says. “An entirely seamless replication of tasks will be critical to the widespread adoption of virtual agents, and an ever-expanding lake of data to draw from will make this possible. The digital twin of the (near) future will be able to trawl through an agent’s contacts – and information on those contacts – to tell the agent who to speak to, when and what about. It will be able to send people information on the agent’s behalf at the appropriate time, based on what the data tells it the customer might require. Once a potential buyer visits an open home, or clicks on a property, their details are recorded, a profile based on their own digital footprint is established and the data collection process begins. But will we get to the point where the agent’s digital twin follows these potential buyers up with a phone call come Monday morning? Mr Gray believes so. Further, these follow-up calls will be seamless, interpretive, able to respond to different questions and even detect tone, he says. 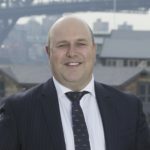 “We envisage longer term there will be scope for your digital twin in some cases to be able to negotiate just as you do, using algorithms powered by an ever-growing lake of data to generate maximum prices for your vendor,” Mr Gray says. “Obviously, the capacity to understand tone is important here and the technology already exists for an AI digital twin to interpret – and respond to – changes in tone. 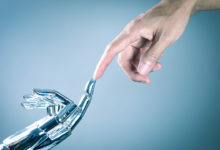 “For instance, by monitoring email and other communications, AI is already able to understand if the customer engagement is progressing well or if a disconnect is occurring. If your twin identifies that things are going awry, it will alert you, and you can re-engage the customer as needed,” he says. Ms Pilkington says the capacity for a digital twin to enhance, not simply replace, an actual human agent’s service is a key distinction as the influence of AI in real estate becomes increasingly poignant. “Everyone is different, they have differing levels of preferred engagement with service providers, and the last thing you want your digital twin doing is getting a potential buyer offside,” Ms Pilkington says. “But there’s no denying that the concept of a digital twin will not only be an advantage to agents in the future, but a necessity. “The digital cities of the future, which collect data from people, devices and things to manage the urban ecosystem in an inherently smarter way, are already being built. Having a digital twin by your side will be increasingly necessary as you do business in these cities of tomorrow,” Ms Pilkington says. Travis Wentriro is the Network Growth Manager at Laing+Simmons. Travis has been at the forefront of the real estate and recruitment industries since 2006, providing him a unique mix of skills to identify and recruit the next group of Laing+Simmons business owners, and organically grow the office network throughout the Sydney metropolitan area and regional NSW.